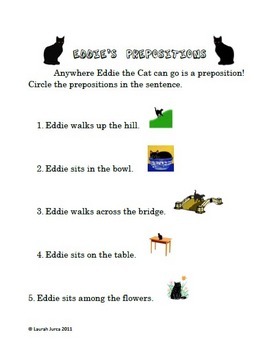 This bundle contains pdf files of Eddie's Big Book of Prepositions, a powerpoint presentation, and a set of worksheets & activities to help teach prepositions. Activities are leveled and so this set is appropriate for a variety of levels & abilities. 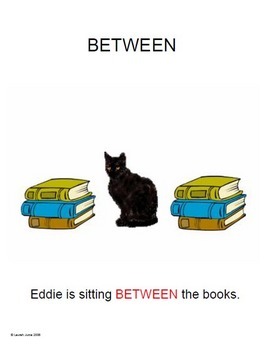 Eddie's big book of prepositions is a large, full color original book based on the old saying that a preposition is "anywhere a cat can go". 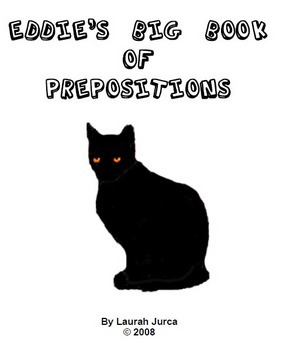 Each graphic was created by me to best illustrate the preposition. This unit was originally designed to help Newcomer English language learners master prepositions, but it is great for native English speakers also!